The Citadel vs. Chattanooga, to be played at historic Johnson Hagood Stadium, with kickoff at 3:00 pm ET on October 15. The game be televised on multiple Fox regional sports networks, including Fox Sports Southeast, Fox Sports Midwest+, Fox Sports North+, and Fox Sports San Diego. Kevin Fitzgerald will provide play-by-play, while Sadath Jean-Pierre supplies the analysis. The game will also be streamed on ESPN3.com and Fox Sports Go. – Hey, a little news about Bulldog Hoops! Fans who have tickets for last week’s rescheduled football game against North Greenville can use them for this week’s top-10 matchup against Chattanooga. Anyone with a ticket to the North Greenville game that was not used last Thursday night at North Greenville can exchange that ticket for admission to Saturday’s home game against Chattanooga. Exchanges are required because if a ticket has already been sold in that seat for this week’s game, the North Greenville ticket holders will be reseated to the best available location. Every effort will be made to keep seat locations as close to the original location as possible. Fans unable to attend this week’s game will have their ticket honored with an additional ticket in general admission seating at The Citadel’s home game against ETSU on Oct. 29 or can donate their ticket to the Junior Bulldog program, which benefits orphanages and foster families in the Lowcountry. I think it may be difficult for some people who had tickets to the North Greenville game to be in attendance for the Chattanooga contest. Presumably a significant amount of tickets were purchased by families as part of the Parents’ Weekend festivities. Some of them will return, but a week’s notice is going to be tough for more than a few folks, especially those who hail from outside the southeastern United States. I’m not sure how that will affect this week’s turnout, or general ticket availability. How much reseating will be necessary? Earlier this week, my initial reaction to the talk about this being a sellout, or a near-sellout, was just that: it was only talk. Chattanooga isn’t going to bring a lot of people (the Mocs rarely do; it’s a long trip, after all). No one should be expecting as many Parents’ Day attendees on short notice as there would have been for the North Greenville game. I didn’t see how attendance would make a big jump. Now, though, I get the impression that Johnson Hagood Stadium will be close to a packed house, especially with any kind of decent walk-up crowd (and the weather on Saturday will apparently be cooperating on that front). The scene should look great on TV, too. I know The Citadel’s players are more than ready to finally play another home game. It appears the same may be true of the Bulldogs’ fan base, as well. Eight of the last nine games played by The Citadel have been on the road; I guess absence really does make the heart grow fonder. I will say this, though. If someone plans on exchanging a ticket from the North Greenville game for a Chattanooga ducat, getting to the stadium early should be a priority. I would imagine there may quite a line to exchange those tickets. When it was suggested to Cam Jackson by a member of the press that the game against Chattanooga was “different from another conference game”, Jackson politely responded that in the grand scheme of things, it wasn’t. No sir, every conference game is just as important as the next. I don’t think Jackson anticipated having to explain basic mathematics to a reporter at the Tuesday press conference. His comment was later referred to by the same scribe as a “dreaded cliché”. The Citadel’s season won’t end on Saturday. There are still five regular-season games remaining (four in SoCon play) after the Bulldogs play Chattanooga. A win or loss won’t define the 2016 campaign. It’s just one link in a chain. It’s not to be completely discounted, of course. However, the world won’t end if the Bulldogs lose, and Johnson Hagood Stadium won’t turn into Big Rock Candy Mountain if they win. I can even provide a relevant example to prove this. The first time Johnson Hagood Stadium hosted a matchup of Top 10 teams came in 1992. On October 17 of that year, The Citadel played Marshall before a record crowd. Both teams were undefeated in SoCon action entering the contest. Sometimes people forget that. They shouldn’t. As is traditional, nomenclature must be established when discussing Chattanooga. I’ve written before (more than once, to be sure) about the school’s identity/branding issues. Chattanooga has a webpage on its varsity athletics website devoted to the one question that has bedeviled the school for many years: What is a Moc? 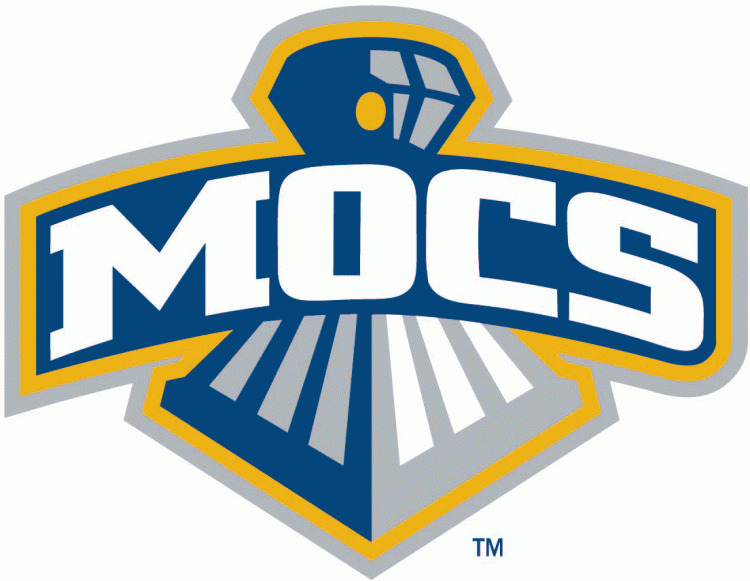 …Named after legendary football coach A.C. “Scrappy” Moore, Scrappy, the Chattanooga mascot, is a fixture for the Mocs. A re-design in 2008 puts Scrappy in the image of the State Bird of Tennessee, a Mockingbird. The mockingbird is known as a fierce protector of its nest and environment. It is sometimes seen swooping down on a dog, cat or predator that may be venturing too close to the bird’s protected territory. Once described by “Late Night” host Jimmy Fallon as “a sledge-hammer wielding mockingbird with a heart of Blue & Gold,” Scrappy symbolizes that competitive passion. Faced with politically sensitive issues and in need of a stronger core identity to help establish a strong brand as Chattanooga’s Team, the athletics department embarked on a comprehensive identity program in 1996. A new direction for the athletics identity was determined, moving away from the politically incorrect Native American Indian imagery. The “Power C” and the “Cowcatcher logo” are also phrases that apply to branding at Chattanooga. It’s a subject that has even come to the attention of The New York Times. The most memorable game played between Chattanooga and The Citadel at Johnson Hagood Stadium was probably the 1988 contest, won by the Bulldogs 23-17. As the clock wound down, UTC had a first-and-goal from the three-yard line, with a chance to win the game with a TD and subsequent PAT. However, a big defensive stand by the Bulldogs (featuring key plays by Rob Brodsky, Matt Larkin, and Terrance Young) preserved the victory. The Citadel had won two consecutive games before that matchup with UTC; it would eventually win seven straight games that season and make the I-AA playoffs for the first time. Eight years later, Chattanooga has won outright or shared the last three SoCon titles. This season, the Mocs are 6-0 and ranked third in the nation in the FCS Coaches’ poll. UTC began its 2016 campaign by annihilating Division II Shorter University, 66-0. The following week, the Mocs beat Presbyterian 34-0. Two games, a combined score of 100-0. Nice start. Chattanooga has since played four Southern Conference games, winning all four. Only the first of those, a 21-14 win at Furman, was close (though even in that game, UTC led 21-0 before the Paladins made a belated fourth-quarter charge). A very good Samford team was pushed aside 44-21, with UTC storming out to another 21-0 lead and never looking back. East Tennessee State was then mauled, 37-7 (one of two road games the Mocs have played so far this season). Last week, Chattanooga led Mercer 38-3 at halftime and 52-10 in the third quarter before settling for a 52-31 victory. That would be the same Mercer team The Citadel beat by one point in the season opener. UTC has yet to trail in a game this season, outscoring its opponents 148-10 in the first half. Many of Chattanooga’s relevant statistics are eye-popping. Chattanooga has only been sacked five times, while throwing 139 passes. Meanwhile, its opponents have been sacked 16 times while throwing 170 passes. The Bulldogs are one of two FCS teams not to allow a successful fourth down conversion so far this season (Sacred Heart is the other). Admittedly, The Citadel’s opponents have only gone for it on 4th down on three occasions. – Russ Huesman, describing his offense versus The Citadel’s defense at his press conference on Tuesday. When Russ Huesman’s son, Jacob, finally exhausted his eligibility, there was some question as to whether or not UTC would regress offensively in 2016 with a new starting quarterback. The answer: nope. That’s partly because the Mocs brought back most of their other offensive starters, but mainly because Alejandro Bennifield (6’2″, 220 lbs.) has seamlessly stepped in as UTC’s signal-caller. Bennifield (who was involved in the aforementioned trick play) is completing 66.7% of his passes, averaging 9.3 yards per attempt, with fifteen TD tosses against only four interceptions. The junior from Lovejoy, Georgia, is fourth nationally in offensive pass efficiency. Derrick Craine (5’10”, 205 lbs.) is a senior running back who was a first-team All-SoCon pick last season after rushing for 1,251 yards. His first career 100-yard performance as a Moc came the last time UTC played at Johnson Hagood Stadium, as he had 135 yards in the 2014 matchup. UTC has at least four receivers who can make big plays. Xavier Borishade (5’10”, 180 lbs.) already has six touchdown receptions this season. The senior was the recipient of the TD toss from Bennifield on the first play of last year’s game against the Bulldogs. Another wideout, C.J. Board (6’2″, 180 lbs. ), is second on the team in receptions. Board has caught three TD passes in 2016. Last year versus The Citadel, Board had 116 receiving yards on five catches. It should be noted that while the tight end position is not always a prominent feature of Chattanooga’s passing offense, two different Moc TEs caught touchdown passes last week against Mercer. Chattanooga’s starting offensive line averages 6’4″, 298 lbs. The line is led by left guard Corey Levin (6’5″, 305 lbs. ), who has won the Jacobs Blocking Award the last two years in the Southern Conference. Jacob Revis (6’3″, 295 lbs.) is the Mocs’ starting center, and a preseason all-conference pick. [Chattanooga is] expected to practice in full pads [Tuesday] and Thursday as they prepare for the Bulldogs’ rough, rugged triple-option attack. “Most of the time we just go in shells,” coach Russ Huesman said. “You don’t see it much, but when you play option teams, you get low blocks — legal but low blocks — and we’ve got to practice against them at a great speed or we’ll be on the ground the whole game. I thought this was an interesting approach to preparing for the triple option. An even better approach for defending the triple option is to recruit players like Keionta Davis (6’4″, 270 lbs. ), a defensive end/blunt instrument who was the preseason Defensive Player of the Year in the SoCon. Davis is a Chattanooga native who led the league in sacks last season with 13 1/2 (including two against The Citadel). He already has five sacks in 2016 (and also blocked a field goal attempt against Furman). Middle linebacker Nakevion Leslie (5’11”, 225 lbs.) was a first-team All-SoCon choice last year. He currently leads the Mocs in tackles. Leslie had 15 stops versus the Bulldogs in last year’s contest. Fellow linebacker Dale Warren (6’0″, 225 lbs.) is second on the team in tackles. The junior leads the Mocs in tackles for loss, with eight. UTC has a talented, experienced secondary. Junior free safety Lucas Webb (6’1″, 205 lbs.) has been a first-team all-league pick the last two seasons. Webb, like Davis and perhaps two other Moc defenders, is a legitimate NFL prospect. Cedric Nettles (6’0″, 205 lbs.) has also been a first-team All-SoCon choice the last two years. The senior had six tackles against The Citadel last season. Henrique Ribeiro (6’0″, 220 lbs.) is the only Southern Conference placekicker to have been profiled in USA Today this week. The native of Brazil was first-team all-conference last year. So far this season, Ribeirois 5 for 6 on field goal tries, with a long of 52 yards (interestingly, his only miss was blocked). Ribeiro was Chattanooga’s starting punter last season as well, and has punted 16 times for the Mocs this season, but is listed as the backup at that position this week. Redshirt freshman Colin Brewer (6’3″, 205 lbs. ), who has punted ten times this year, is the projected starter. Brewer is also the holder for UTC. Emory Norred (6’0″, 225 lbs.) is a junior in his third year as the long snapper. C.J. Board is Chattanooga’s main punt returner, and he is averaging a stellar 8.9 yards per return. Backup running back Richardre Bagley (5’9″, 180 lbs.) is the primary kick returner for the Mocs. – The weather forecast for Saturday in Charleston, per the National Weather Service: mostly sunny with a high of 74 degrees. The low on Saturday night is projected to be 62 degrees. That works for me. – Per one source that deals in such matters, Chattanooga is a 6-point favorite over The Citadel, with an over/under of 49.5. That’s the same over/under that was listed for the Bulldogs’ game last week versus North Greenville. – Other lines involving SoCon teams: Samford is an 18 1/2-point favorite over VMI; Mercer is a 4 1/2-point favorite against Western Carolina; and Furman (despite being winless) is a 16 1/2-point favorite at East Tennessee State. The Citadel’s next opponent, Wofford, is off this week. Gardner-Webb is a 16 1/2-point underdog against Coastal Carolina this week in Boiling Springs. North Carolina is a 7-point underdog at Miami. – Massey Ratings: The Citadel is ranked 9th in FCS. Chattanooga is ranked 4th. Massey projects the Bulldogs to have an 39% chance of winning, with a predicted final score of UTC 28, The Citadel 24. Other FCS rankings in Massey of note: Samford (12th), Wofford (20th), Mercer (40th), Gardner-Webb (55th), VMI (58th), Furman (62nd), Western Carolina (63rd), East Tennessee State (90th). Both Samford and Wofford jumped six spots this week. VMI improved by nine positions. – Next year’s FCS Kickoff Classic will feature Chattanooga, as the Mocs will play Jacksonville State one week before the regular season begins for most of Division I. This year, that game was between Charleston Southern and North Dakota State. One difference next season is that the contest will be played at a neutral site — Montgomery, Alabama. – Chattanooga’s roster is largely made up of Tennessee natives, with 49 Mocs hailing from the Volunteer State. Other states represented on UTC’s roster: Georgia (29), Alabama (13), Florida (1), New York (1), and California (1). – There were no changes to The Citadel’s two-deep this week. The depth charts for the North Greenville and Chattanooga games are identical. – On offense, eight Bulldogs have started each of the first five games. Nine players have started every game on defense for The Citadel. Among active players, Tevin Floyd has the most career starts for The Citadel, with 31 (all consecutive). Offensive linemen Isaiah Pinson and Kyle Weaver have each made 30 straight starts. After reviewing UTC’s season, it is apparent that The Citadel has a very difficult task on Saturday. The Mocs have no obvious weaknesses, and have mostly shredded their opponents (including whippings of quality teams like Samford and Mercer). The one slight blip in Chattanooga’s march came at Furman, a contest worthy of further examination. It’s not as much that the game was nominally close (21-14), because the Paladins’ second touchdown didn’t come until 1:01 remained in the fourth quarter. No, the real story was UTC only scoring 21 points (including just one score in the first half). How did Furman manage that? The Paladins had a three-minute edge in time of possession. Furman also won the turnover battle 1-0. Another key stat: Chattanooga was only 2 for 9 on third down conversion attempts, which led to the Mocs only running 53 plays from scrimmage (FU had 65). Furman’s offense didn’t do much, but its defense kept the Paladins in the game, holding UTC to 288 yards of total offense. Turnovers and big plays are always critical in deciding football games, and Saturday’s contest at Johnson Hagood Stadium will be no different. However, based on that Furman game, I might suggest another category worth watching: third down conversions. The simplest way to slow down UTC’s offense is to keep it off the field. That means the Bulldogs’ offense has to maintain long, time-consuming drives (and convert on third down), while The Citadel’s defense needs stops (especially on third down conversion attempts). Oh, one other thing: the Bulldogs need to avoid giving up a TD on the first play from scrimmage. That has happened in both of the last two matchups against the Mocs. Can the Bulldogs pull off the upset? I don’t know, but I’m ready to find out, and in person. I think that will be true for a lot of people this Saturday.